Bruce Arians calls report of him leaving Cardinals "fake news story"
"If you want to ask me about this fake news story that has come up – I’m quoting the president now – nothing’s changed. I don’t know where all that sh--’s came from." Arizona Cardinals’ head coach Bruce Arians is not happy about reports that he’s leaving the team after the season. Arians said he “never” thinks about whether he’ll retire, which is why he’s tired of being asked about it. …”There’ll come a time and place when we decide what we’re going to do,” Arians, 65, said. …”We’ll come back on the plane [Sunday night] and get everything finalized through the season, get all the reports like we always do, get all our end-of-the-season business done,” he said. The Arizona Cardinals front office is preparing in case head coach Bruce Arians opts to retire at the end of the season, league sources said, something many of his peers believed was imminent at this time last year. Arians has not told the team he is retiring, but given his battles with cancer and his health scares in recent years, the team has discussed some contingencies in the event a coaching search is required. 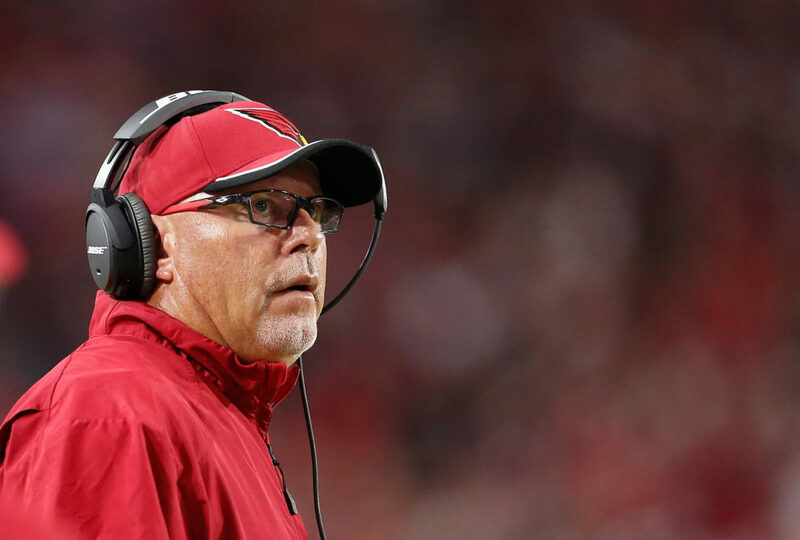 Many close to Arians do not believe he will be back on the sidelines for 2018; he has denied the notion in the past and given no outward indication he is considering that now, but it’s something team officials have discussed. We’ll see where this goes, and if the reports of Arians’ exit actually prove to be “fake news” or not. But he certainly doesn’t seem thrilled with the way people are writing about him leaving.